White-tailed deer and other hoofstock are illegal to rehabilitate in the state of Nebraska. Please follow the instructions here to ensure that deer aren't needlessly displaced or injured, as we cannot legally help those that are negatively affected by human action. If you find a fawn laying quietly in the grass, leave the area immediately and do not disturb it. Mother deer leave their young fawns laying in the grass while they go off to feed. They return periodically to check on their fawns and to feed them, but it is not uncommon for a fawn to be left laying in the same place for 8-12 hours at a time. Do not touch or disturb the fawn in these instances, because doing so may doom the fawn to death. If a fawn is found wandering alone, walking around and crying, or if it is injured, you can call NWRI for further direction, or contact the Nebraska Game and Parks Commission. Do not feed the fawn in these instances, as rehabilitation of deer is illegal in Nebraska. 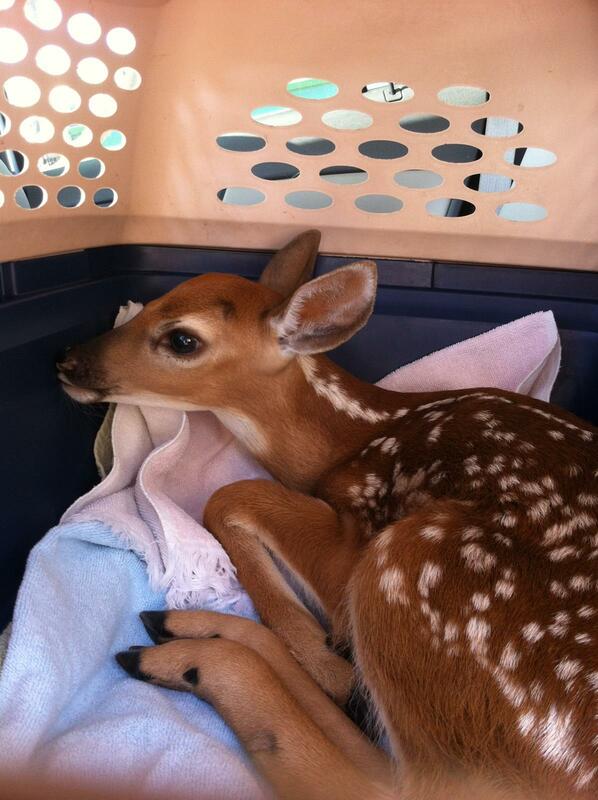 If you find an injured or orphaned fawn in Iowa, please contact an Iowa wildlife rehabilitator for assistance. Contact the Nebraska Game & Parks Commission for further assistance. Because it is illegal to rehabilitate deer in the state of Nebraska, we are not able to render aid to an injured adult deer.